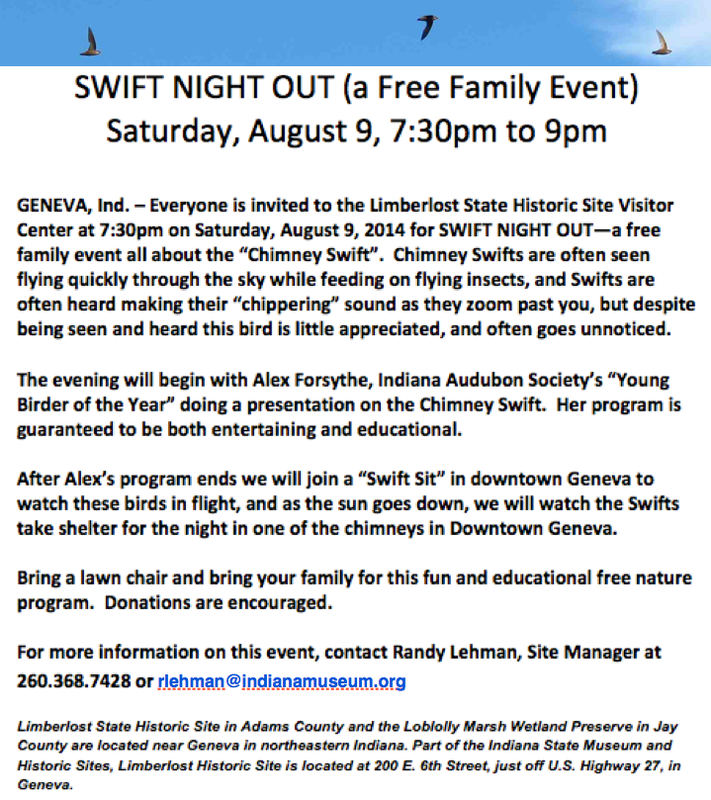 The Chimney Swift program on August 9 for a Swift Night Out was a huge success! 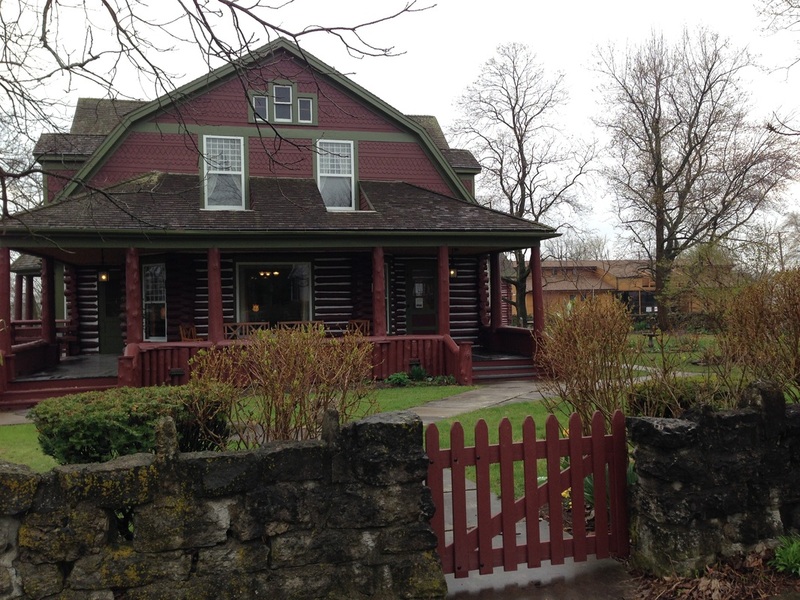 An informative program about Chimney Swifts was held at Limberlost State Historic Site at 7:30 p.m. We had hands-on activities for the children, fantastic door prizes and more! Alex Forsythe gave an entertaining and educational program in which you were be able to peek inside Swift nests, see and touch Swift tail feathers and their unusual spikes, and more! 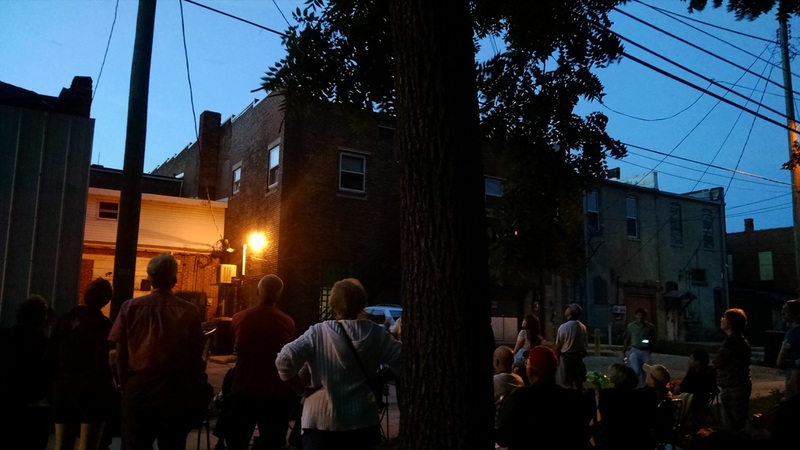 Afterward, we went on a short walking tour to watch the Chimney Swifts perform their breathtaking aerial acrobatics.